Back Street Hair Design is a full service salon offering a wide variety of personal care services to help you look and feel your best. 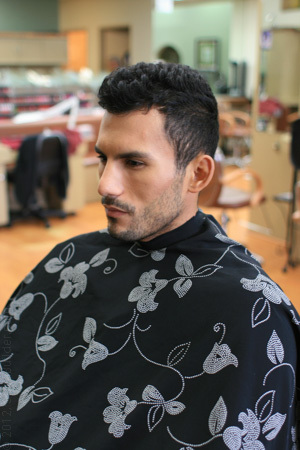 Our experienced team of stylists delivers on the promise of providing modern, professional hair, nail, and skin care. Our sophisticated, modern salon is designed to make you feel welcome and provide a memorable experience that's worth telling all your friends about. We invite you to check out our extensive service menu to learn more about the great treatments and services offered at Back Street! Homecoming, Prom, Father Daughter Ball, you name the special event, we're available to create a beautiful style for you! Sps start at $45. Please check with your stylist regarding availability and price. To ensure prompt service appointments advised but walk-ins are welcome. If you need to cancel an appointment we appreciate at least 24 hours notice. Service prices and availabilty are subject to change without notice.